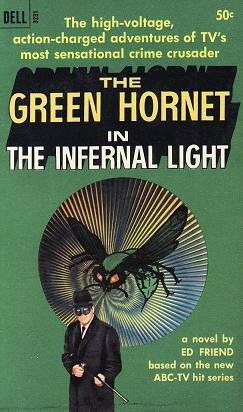 Newspaper publisher Britt Reid discovers an old friend and her scientist father are being forced by gangsters to manufacture a drug that renders people susceptible to orders to perform illegal acts, then forget they ever did them! 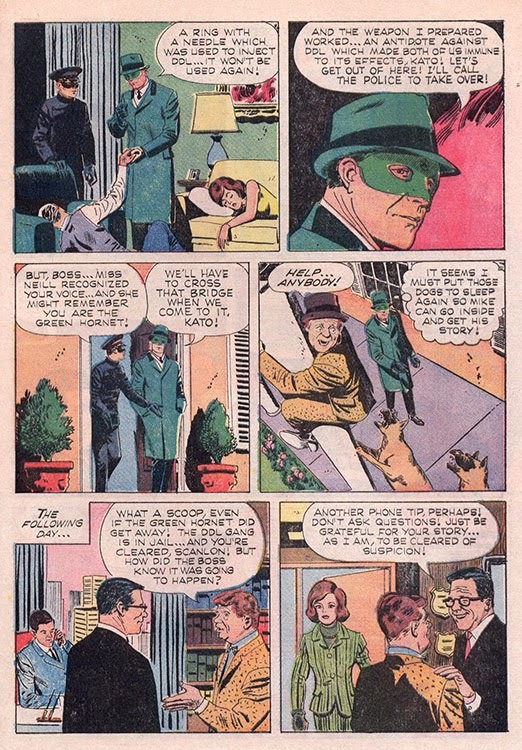 In his alter ego of The Green Hornet, the masked man and his partner, Kato, break into the home of the scientist and his daughter, now serving as the criminals' base of operations! 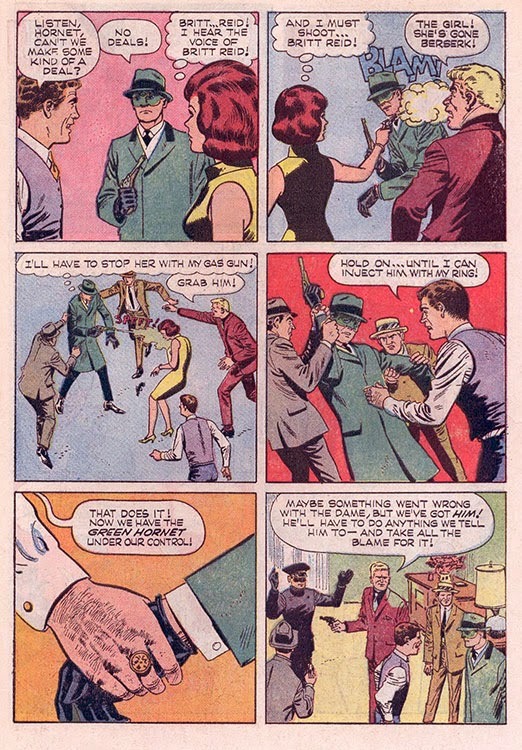 What The Hornet doesn't know is that Reid's friend has been drugged, armed, and ordered to kill Reid himself! 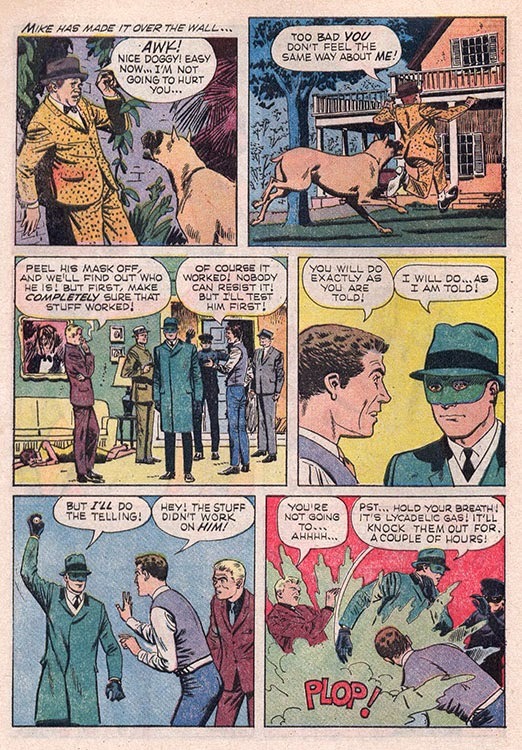 Written by Paul S Newman (not the actor) and illustrated by Dan Spiegle, this tale from Gold Key's Green Hornet #1 (1966) followed the format of the first few episodes (playing up the "masked detective" angle, and downplaying the fight sequences) perfectly. 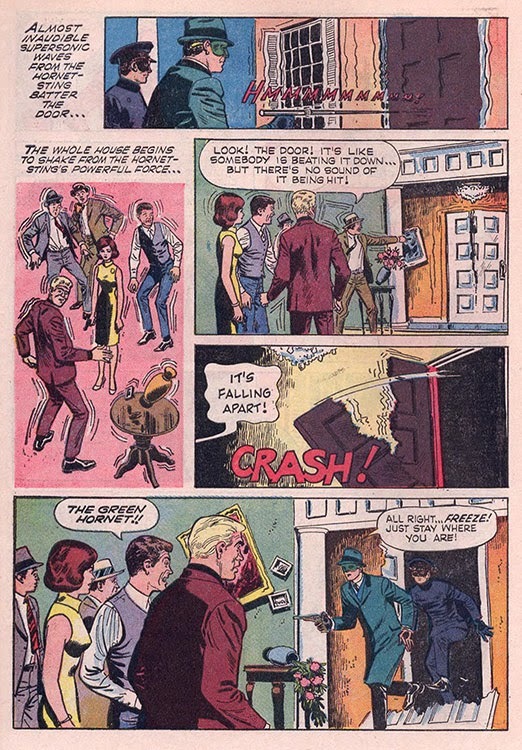 When polls showed that the audience wanted more action, additional fights were written in, playing up Bruce Lee's martial arts skills. BTW, you'll note Mike Axford looks nothing like Lloyd Gough, who played him on the show. 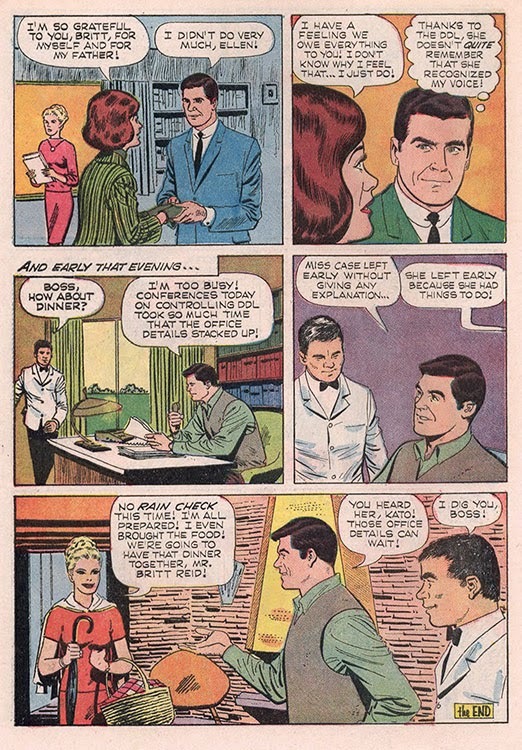 Whether this was because Gough didn't license his likeness, or 20th Century Fox and/or Greenway felt Spiegle (who was extremely-good at realistic likenesses) made him look too old so they added hair, is unknown. 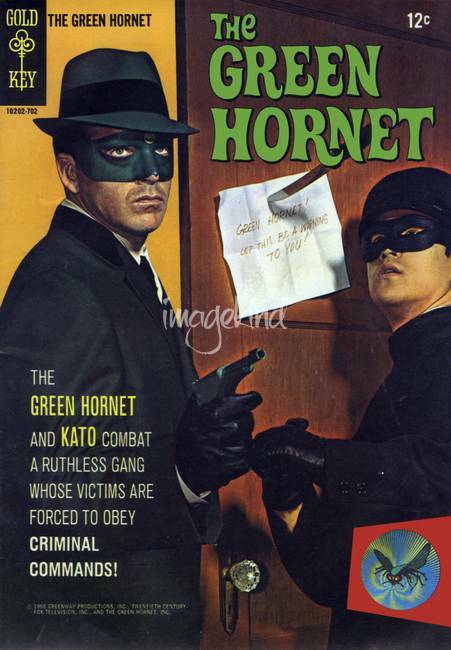 Reading Room THE GREEN HORNET "Masquerade"
Happy 50th, Green Hornet & Kato!